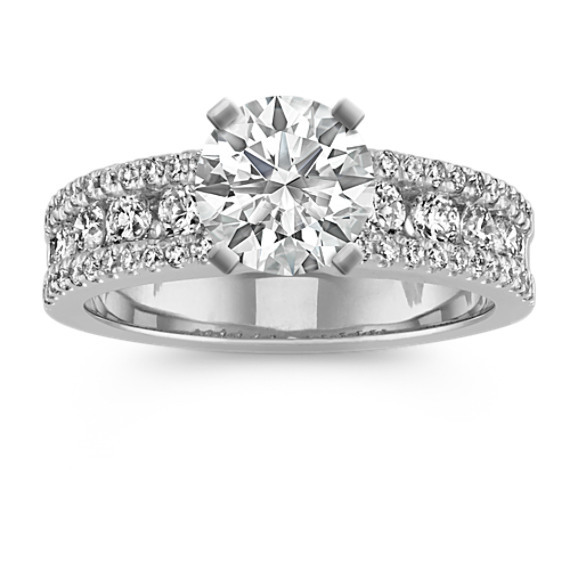 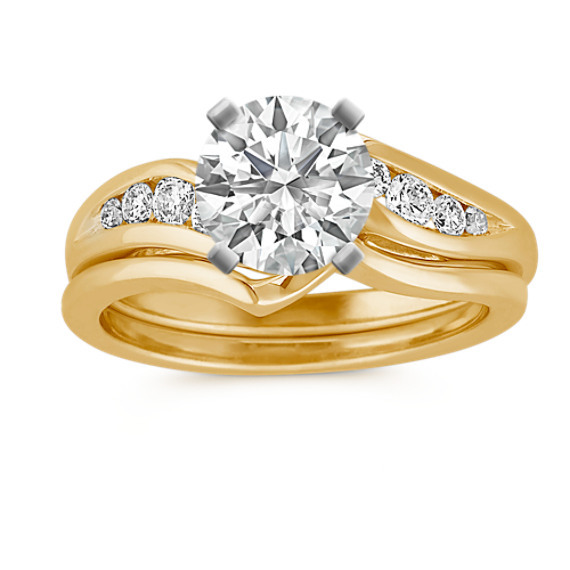 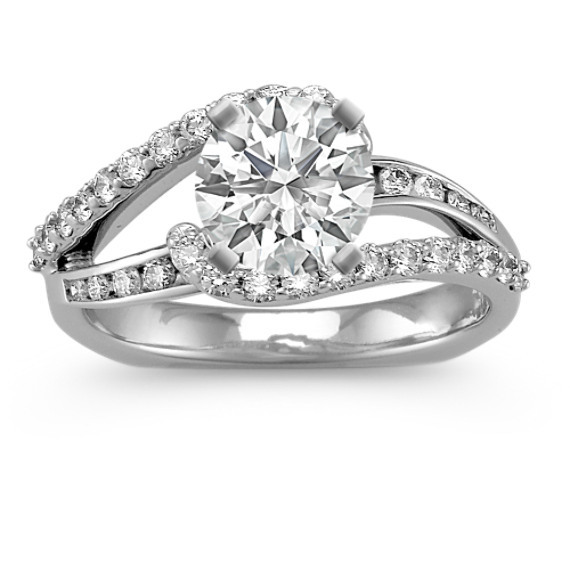 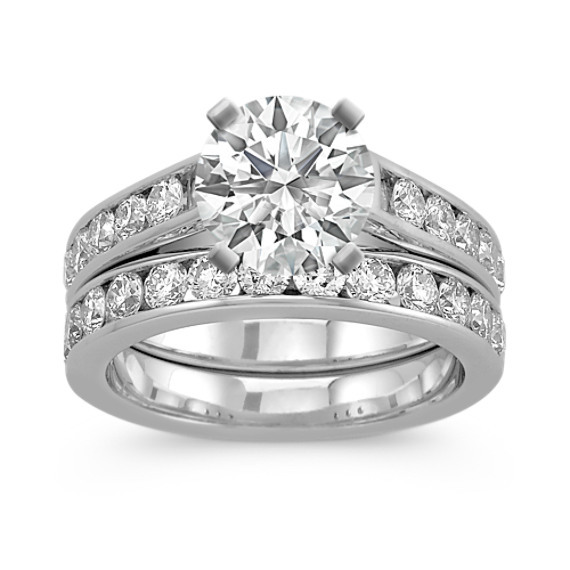 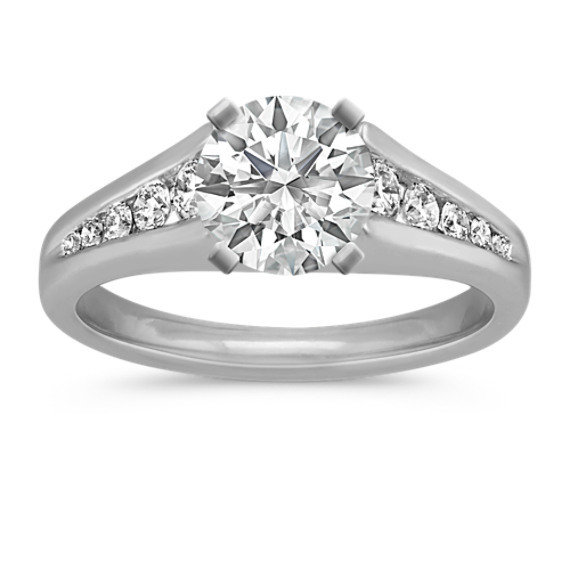 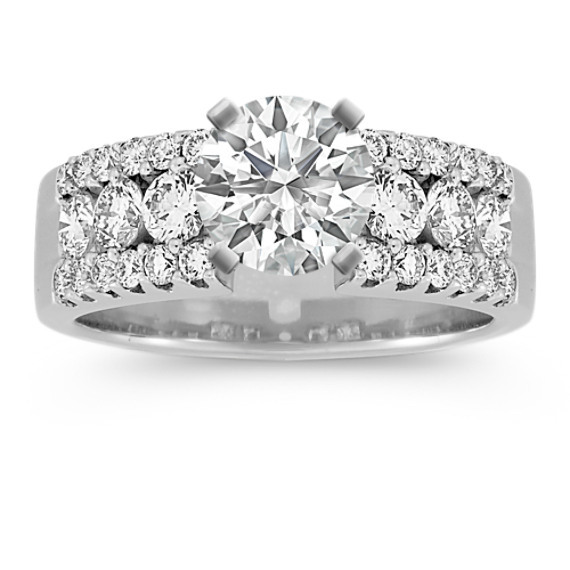 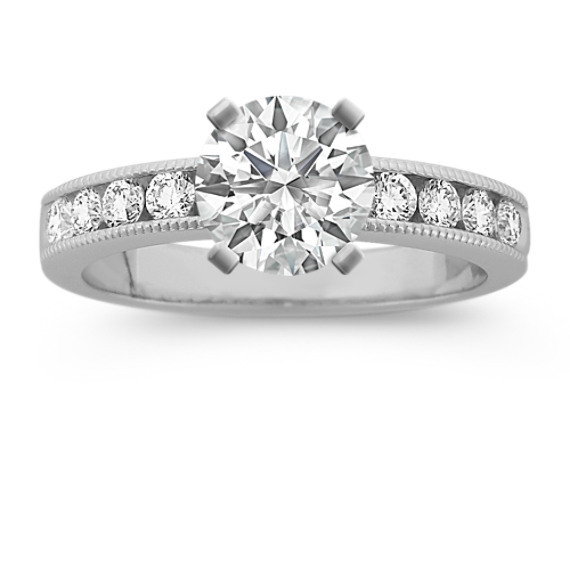 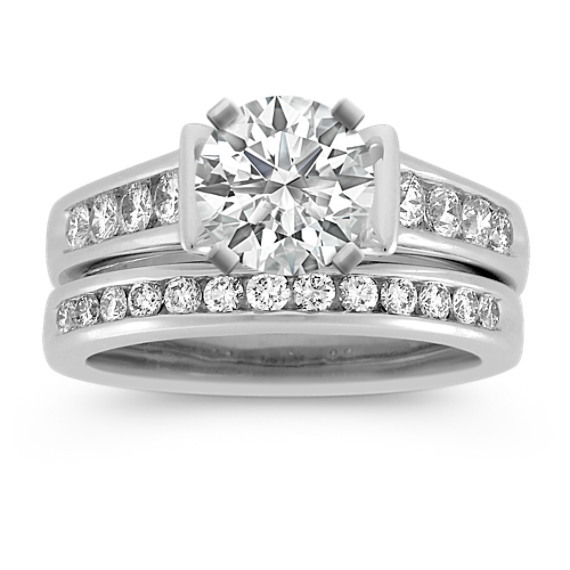 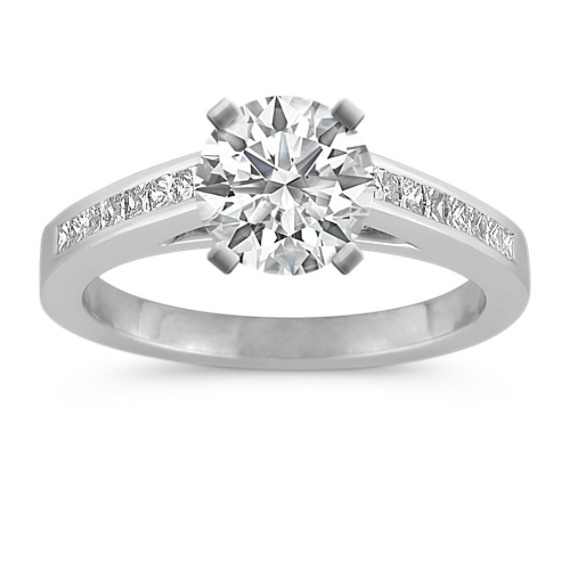 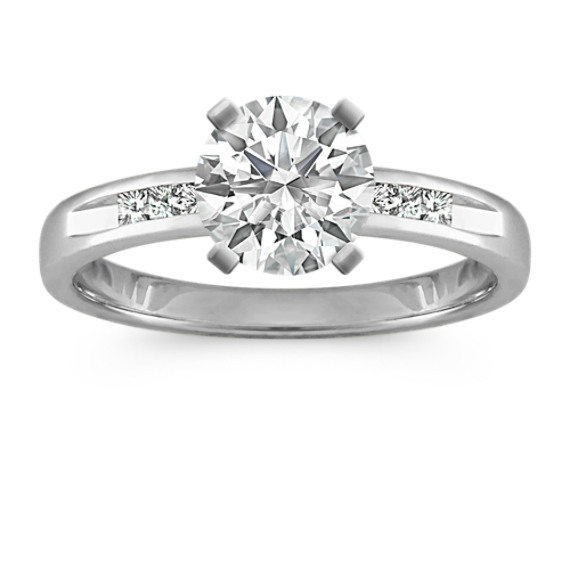 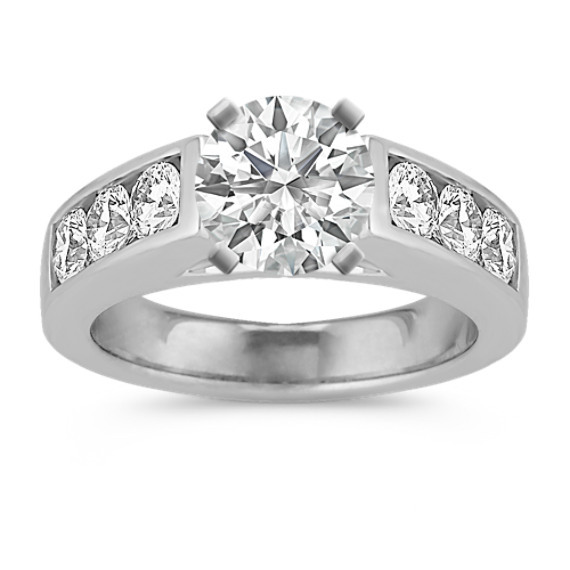 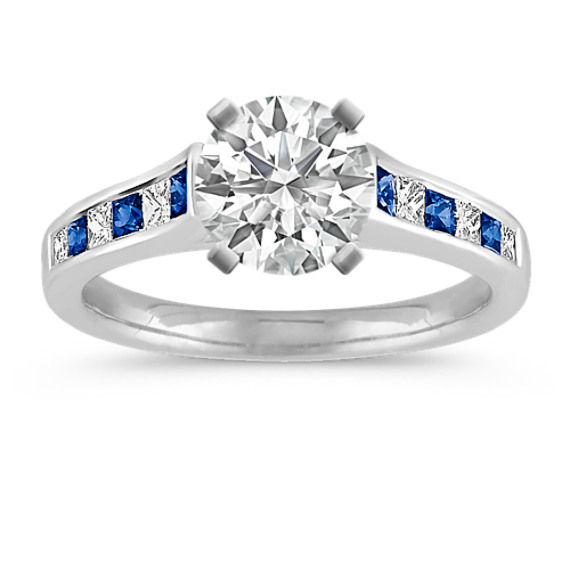 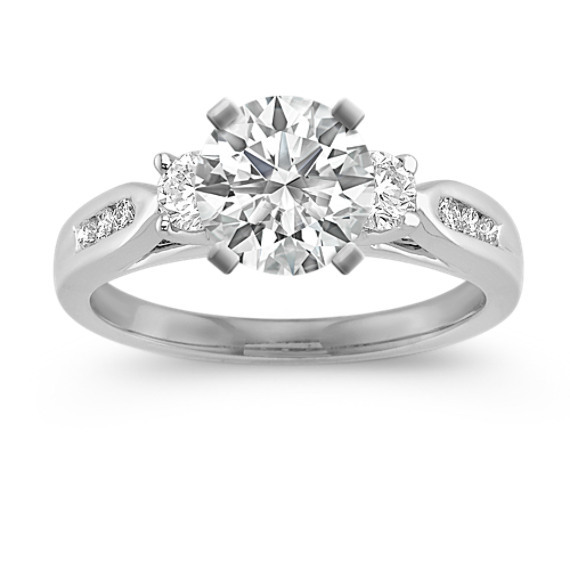 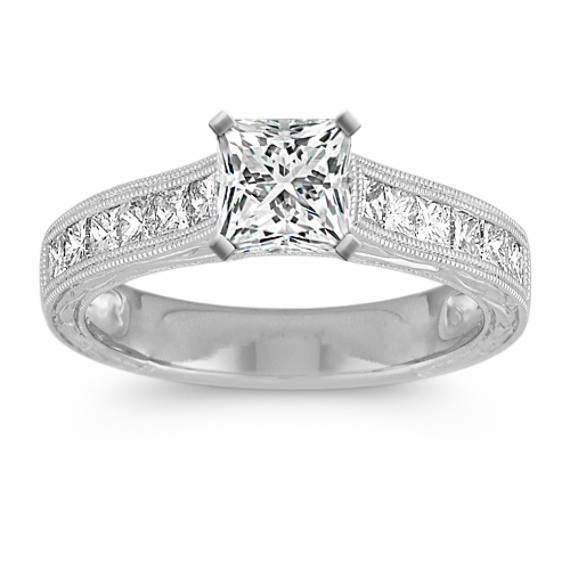 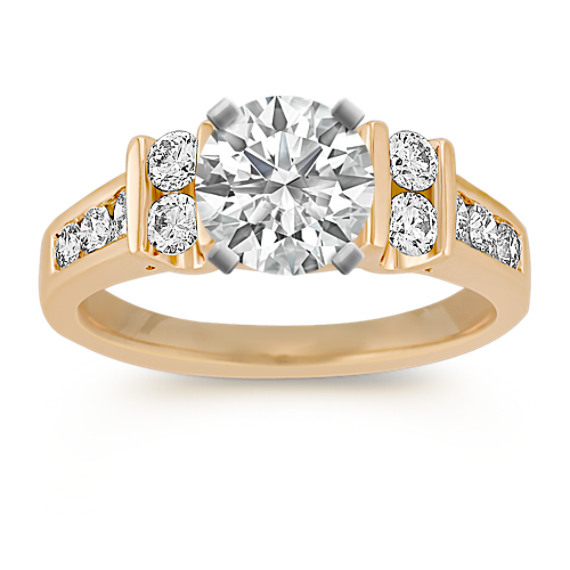 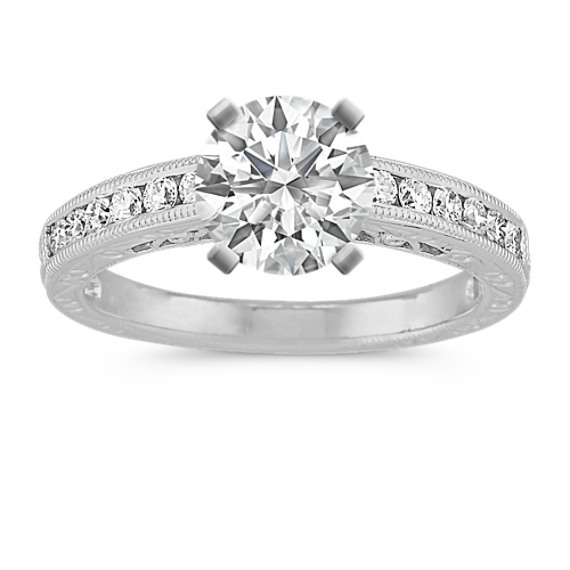 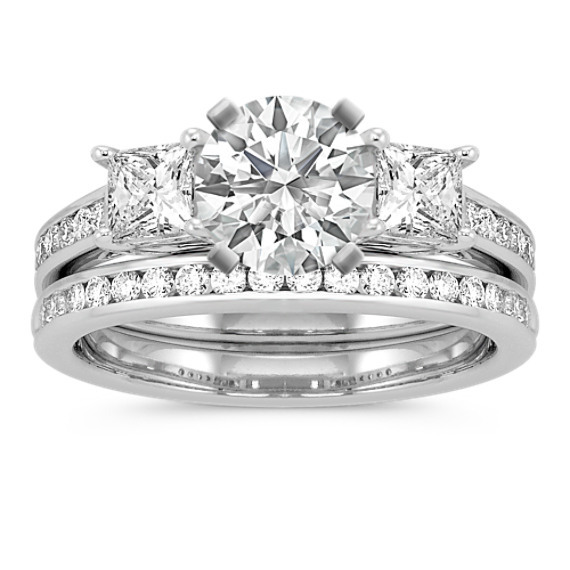 Channel Set Engagement Rings from Shane Co. 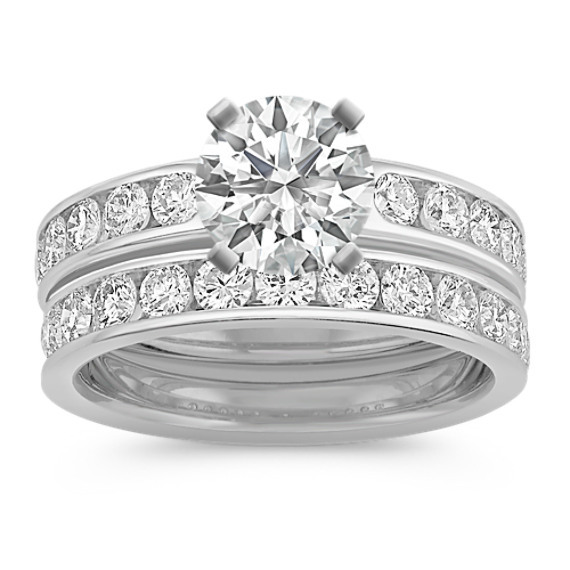 If your dream engagement ring is one that features lots of sparkle, browse Shane Co.’s exceptional collection of channel-set engagement rings. 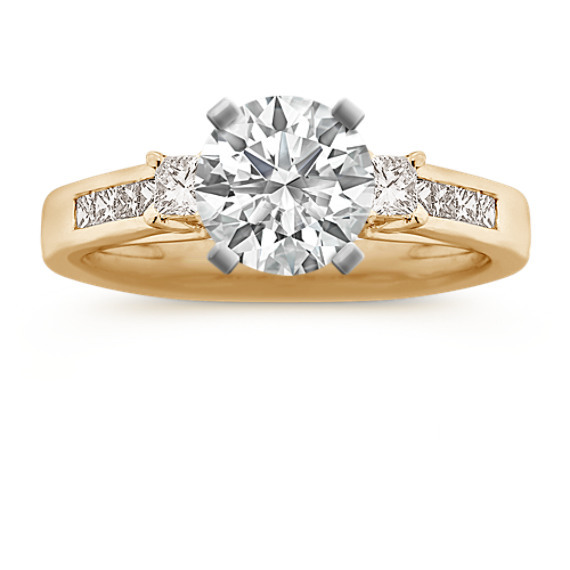 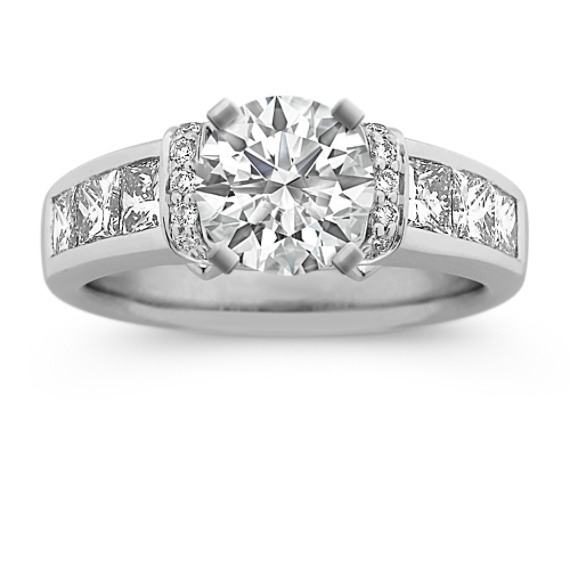 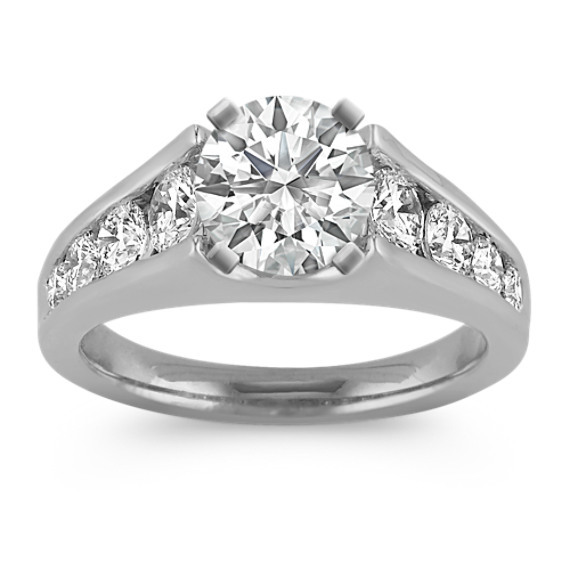 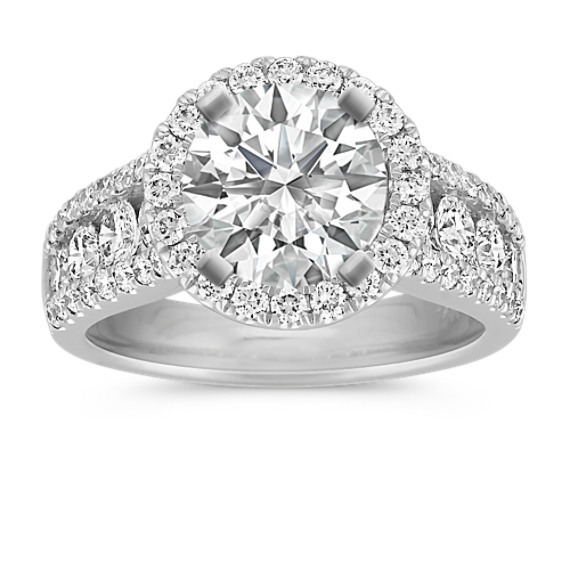 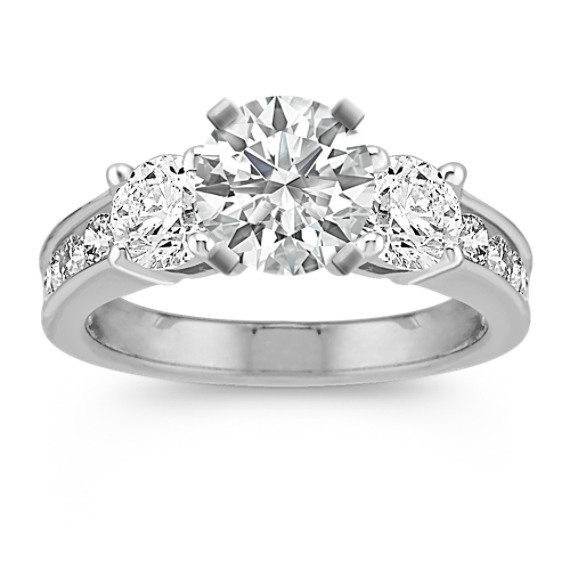 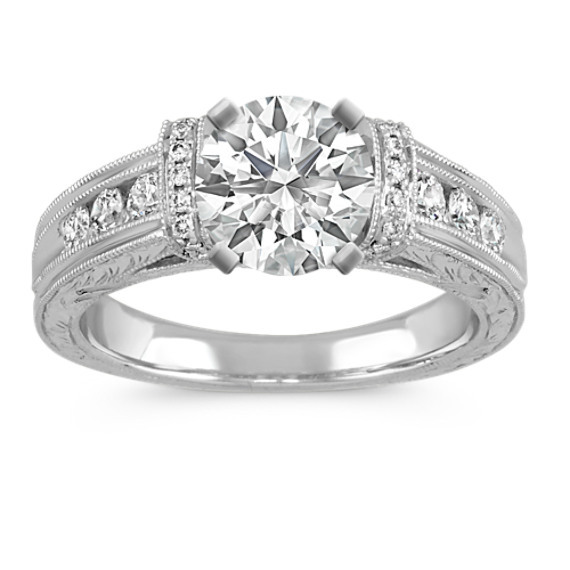 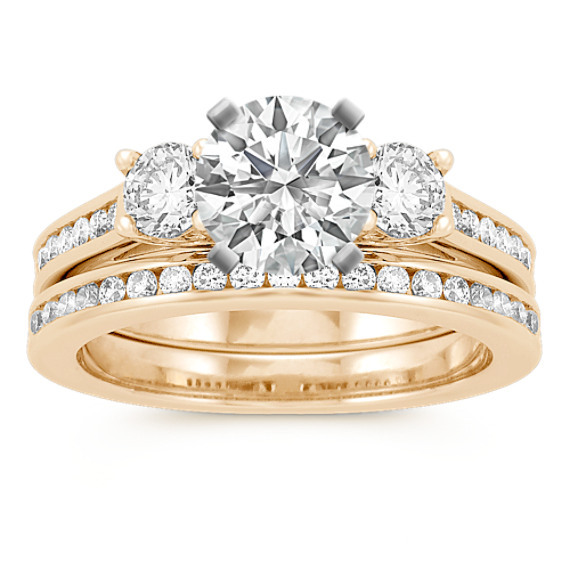 What is a channel-set engagement ring? 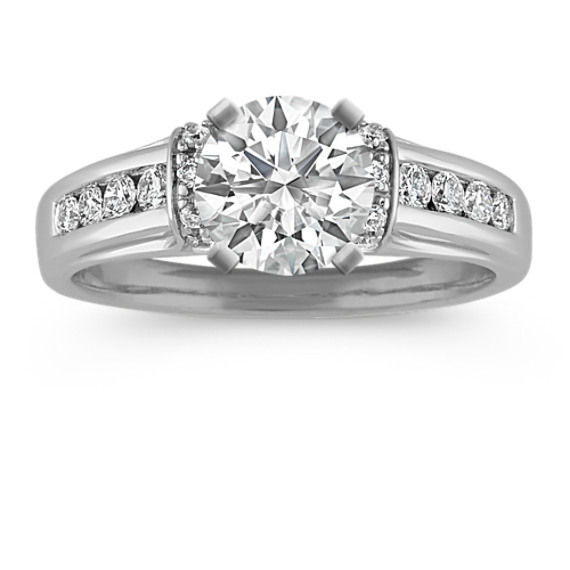 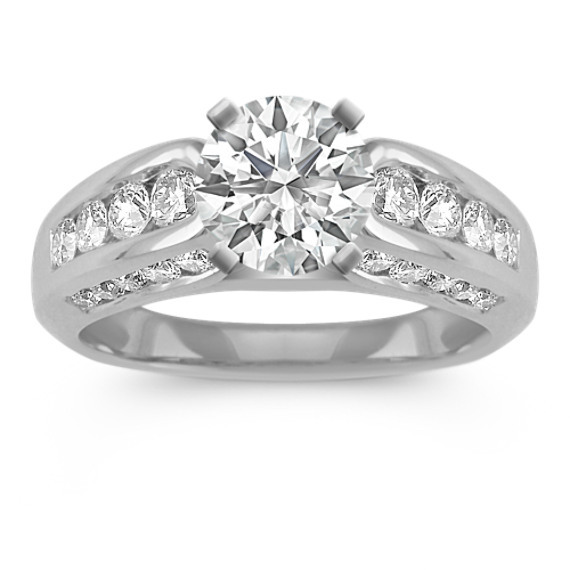 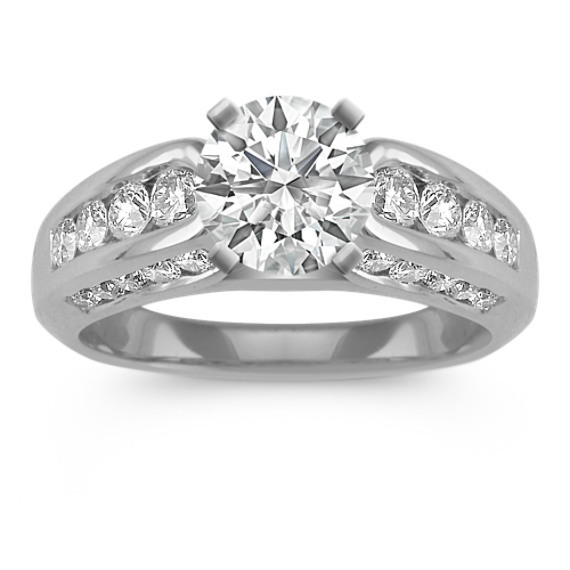 Channel-set engagement rings feature a channel with stones set into the ring’s band, also known as the shank. 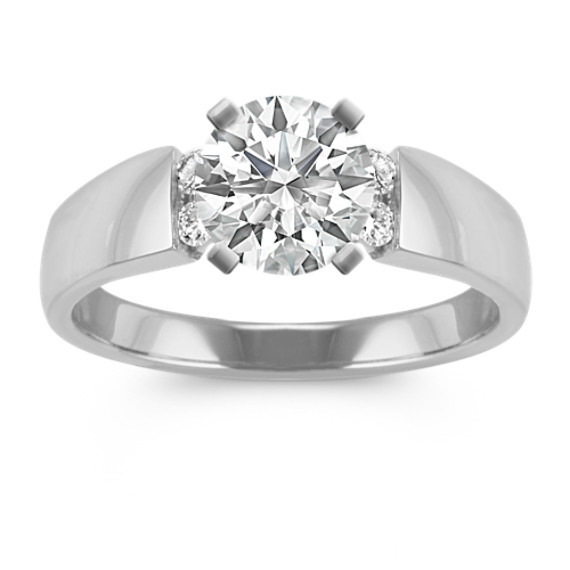 The stones are held in place by the metal on both sides rather than prongs. 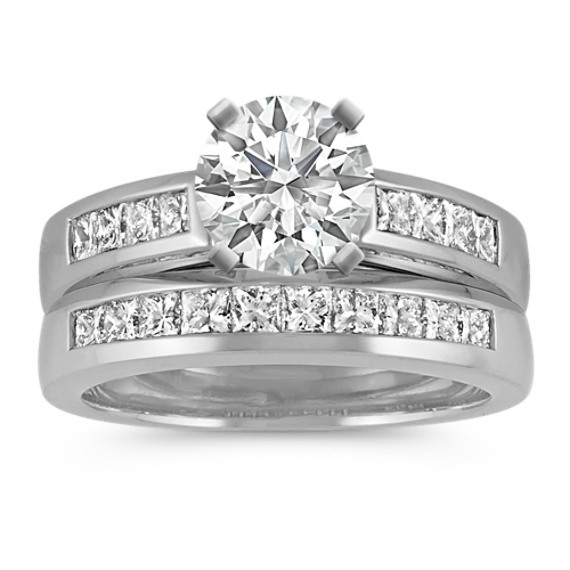 The channel-set look has a sleek, modern appearance and complements your center stone’s sparkle with additional fire and brilliance, similar in fashion to halo engagement rings and pavé diamond engagement rings. 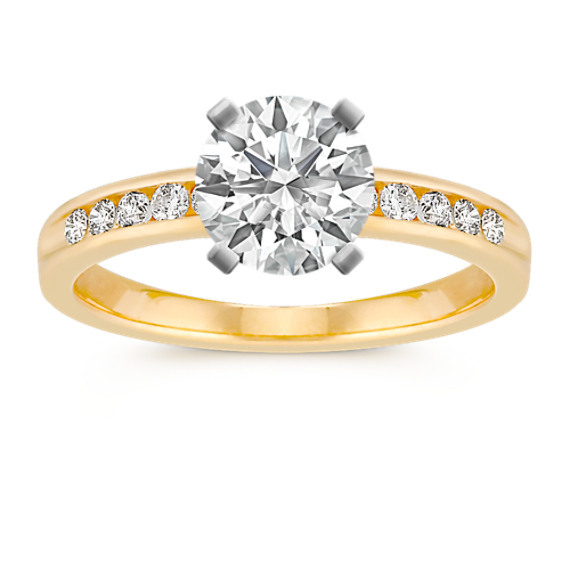 Is it easy for stones to fall out of channel-set engagement rings? 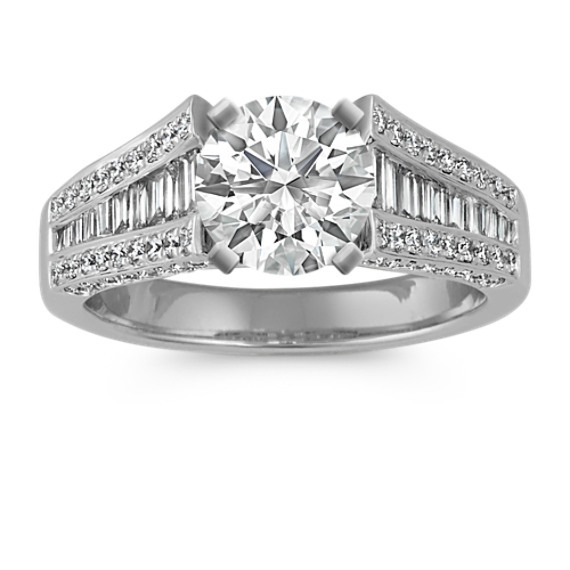 Not if it’s a Shane Co. ring. 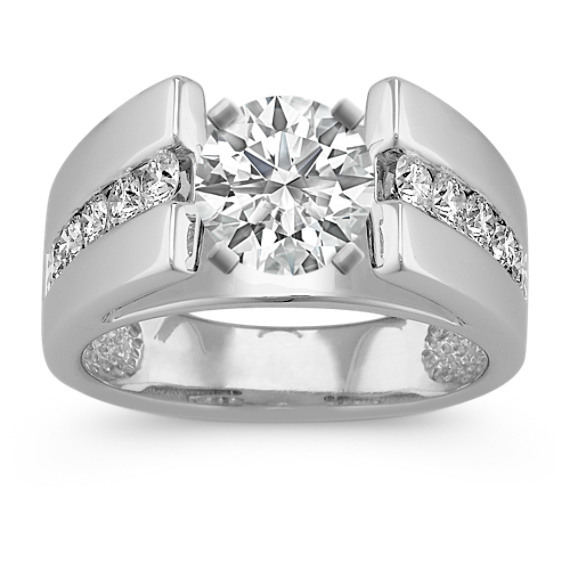 We have higher quality standards than other jewelers and design our rings to offer a lifetime of trouble-free wear. 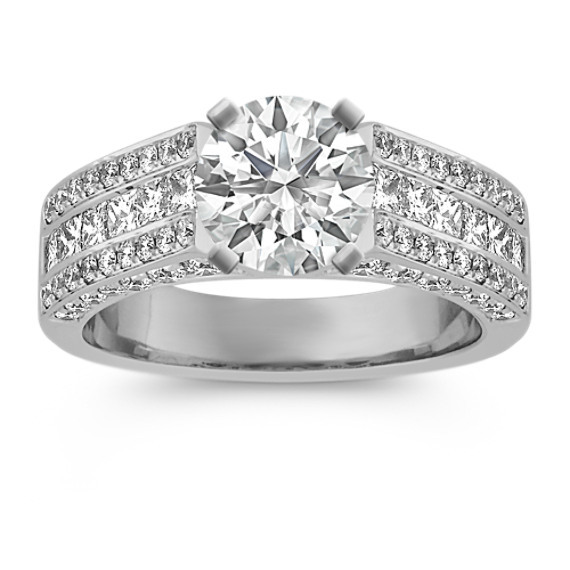 Each ring is examined three times by our own quality control team before it is made available for sale. 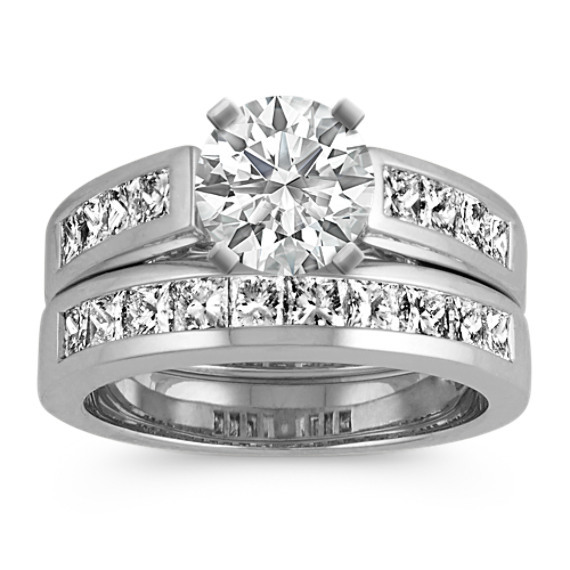 Should anything happen to any of the diamonds, our Free Lifetime Warranty guarantees free replacement. 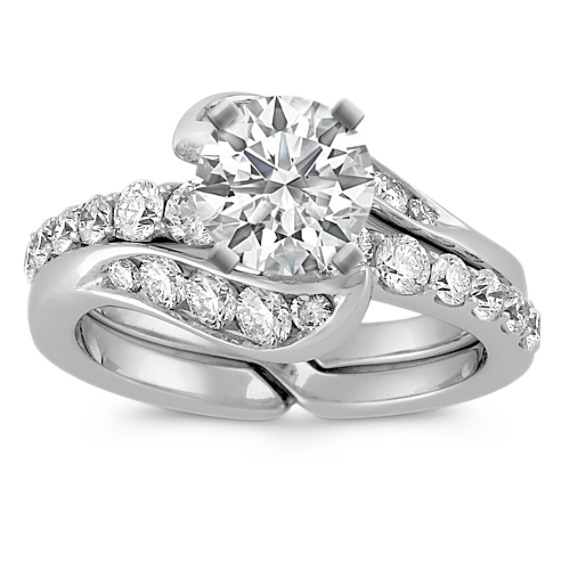 When you invest in Shane Co. jewelry, whether you purchase a channel-set diamond engagement ring or an infinity symbol engagement ring, our Free Lifetime Warranty makes it a risk-free purchase. 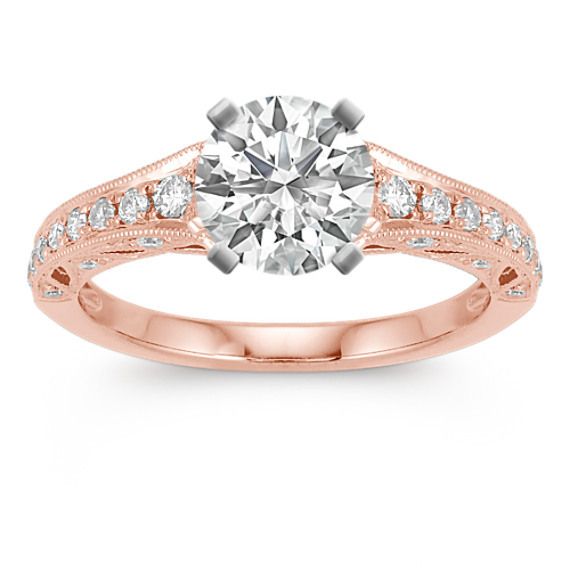 How does Shane Co. choose its gems for channel-set engagement rings? 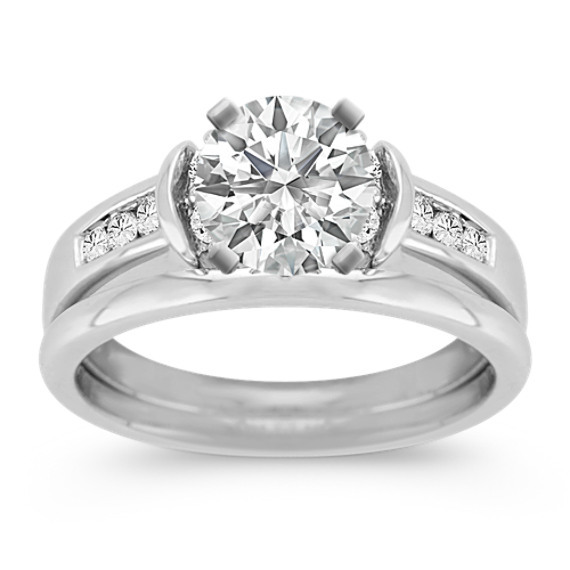 Shane Co. has higher standards for the cut, color and clarity of all of our diamonds. Plus, each stone is matched by hand for consistent fire and brilliance. 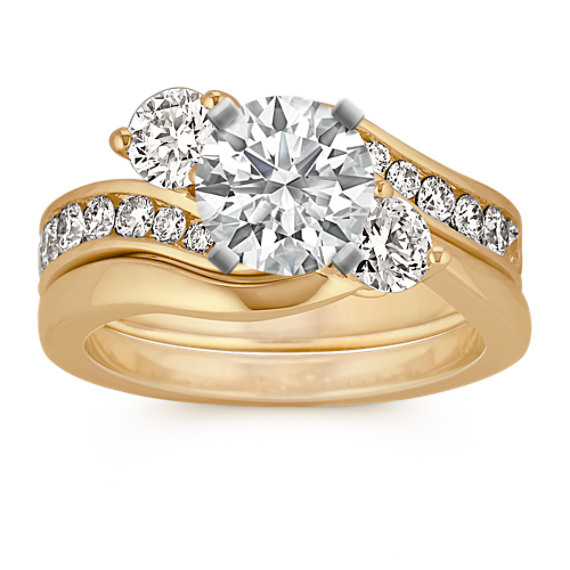 You can see the difference in the sparkle of our rings compared to the rings sold elsewhere. 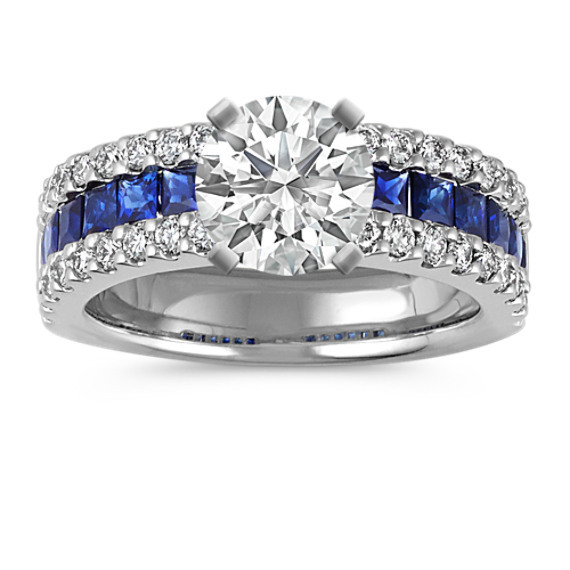 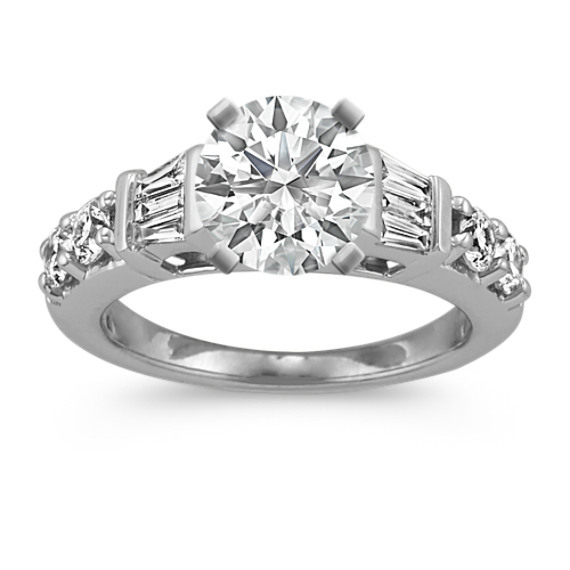 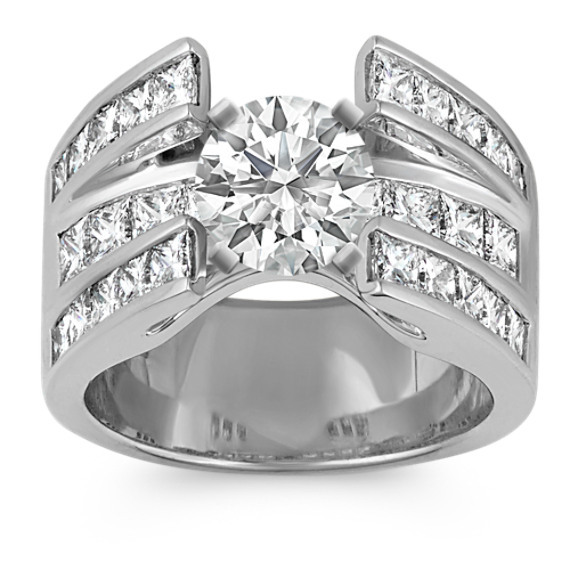 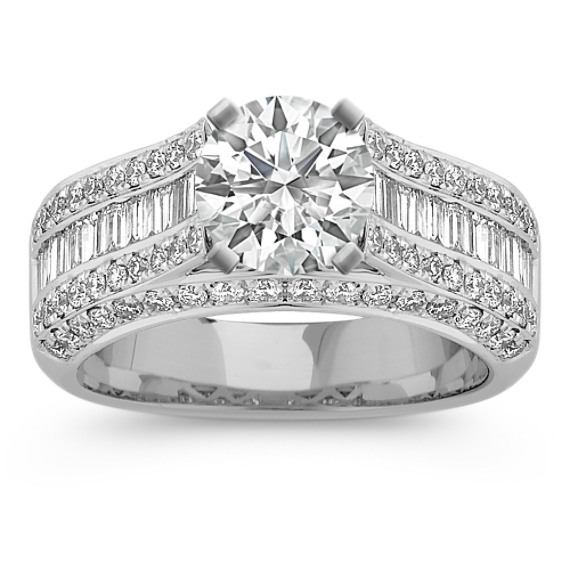 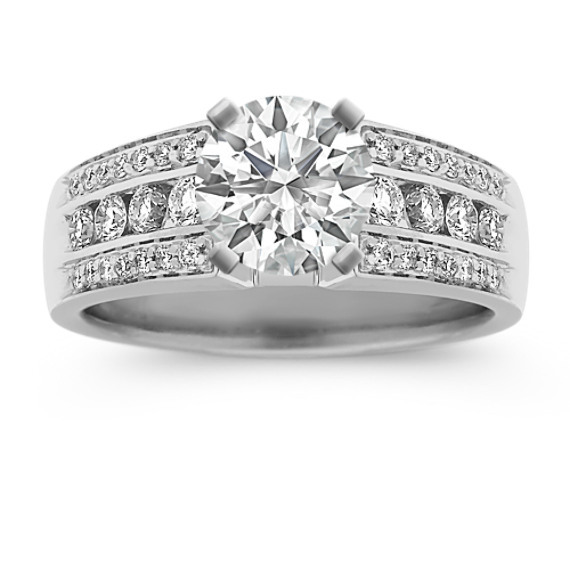 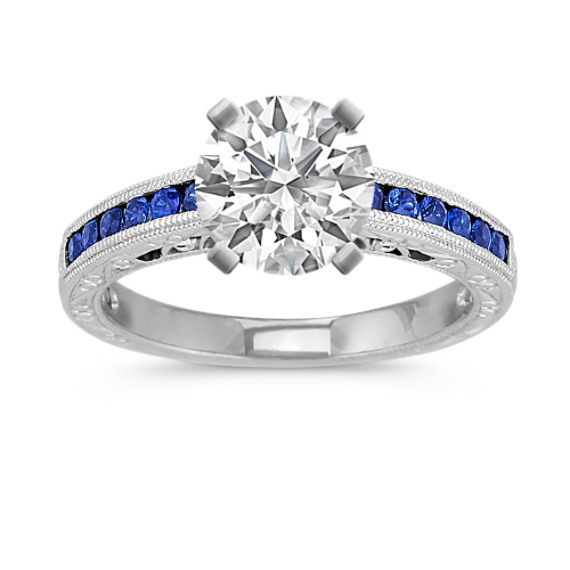 Whether you’re interested in channel-set engagement rings, matching wedding ring sets or twisted band engagement rings, you’ll have more styles to choose from that are in your budget than at any other jeweler.